I just love this sweet collage image from the Artistic Outpost Think and Wonder plate! 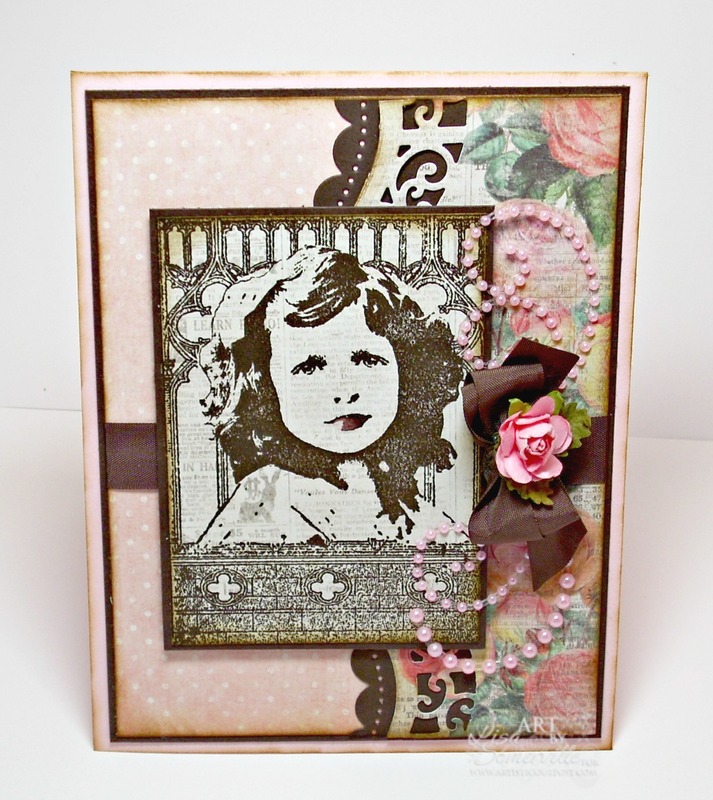 On this card I paired her up with some beautiful Prima papers, stamping the image in Espresso directly onto a scrap piece. Additional Prima papers from the same pad where use for the background panel, die cut with Spellbinders Curved Borders Two. To embellish I added Vintage Brown Seam Binding and Zva Creative Crystal Gems and a Pink Mini Rose. Be sure to click here for a special announcement from Artistic Outpost.